ECI (Estimated Chargeable Income) is a foreign concept to many businessmen who are not familiar with Singapore’s accounting terms. Many entrepreneurs are unsure as to why and when they have to file the ECI. In layman terms, the ECI is the company’s annual turnover minus expenses for the Year of Assessment (YA). In this blog, we will demystify the ECI and make it as easy to understand as possible. 1. With whom and when must I file the ECI? First and foremost, you must file the ECI with IRAS, Singapore’s tax authority, within 3 months of the end of your company’s financial year (FYE). For example, if your FYE is 31 December 2012, you must file your ECI by 31 March 2013. Filing the ECI in a timely manner is one of the annual corporate compliance requirements in Singapore. Your ECI submission plays an important role in the larger scheme of things as it helps policymakers have a sense of how businesses and various industries are doing. In turn, this information helps them adjust policies, which in turn, could benefit your firm and industry. In addition, IRAS awards companies that submit their ECI statements early with the option to pay their Singapore corporate taxes in installments. The earlier the ECI statement is submitted, the higher the number of payment installments bestowed to your firm. For example, companies that e-file their ECI by the 26th of the 3rd month after the FYE may pay their taxes in 6 installments. Those who file on the 26th of the 2nd month after the financial year-end get 8 payment installments while those who submit a month after the FYE will get 10 installments. With effect from YA 2013, companies whose FYE falls in October 2012 and beyond/later are conferred a special administrative concession. Company has got a “NIL” ECI. This means if your company anticipates zero chargeable income, you still must file a “NIL” ECI return. 5. What if you don’t file the ECI? If your company didn’t file its ECI within the 3-month period, IRAS will issue you a Notice of Assessment (NOA) based on its estimation of your income. Your company will then have one month from the date of the Assessment to submit a written objection if you do not agree with IRAS’ estimated assessment. Otherwise, the NOA is recognized as final. 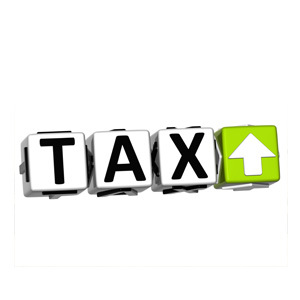 Regardless of the objection status, the tax demanded per the NOA must first be paid by your company to IRAS. Your company has to file the ECI within 3 months after the end of its financial year end. However, if you do not know how to go about filing the ECI, you should engage the services of a consultancy specializing in accounts and Singapore taxation. Speak to our accounts specialists – we are ready to help you obtain an e-access code to file your ECI online and prepare your company’s ECI.